Periodontal therapy, such as gum disease or periodontal disease, which is an inflammation of the gums that can lead to the loss of the tissues that hold your teeth in place, if not treated early enough. Early symptoms include swollen gums that bleed easily. Restorative and cosmetic dentistry for chipped teeth, knocked out teeth, or smiles that have experienced neglect or dental trauma. Sleep apnea and sinus issues: chronic sinus infections and sleep apnea symptoms such as snoring or trouble sleeping may be linked to dental health. Root canal therapy, a procedure that saves a diseased or injured tooth from being pulled and instead treats the inflammation inside the soft tissue (pulp) of the tooth. Tooth extractions due to decay, trauma, or disease. 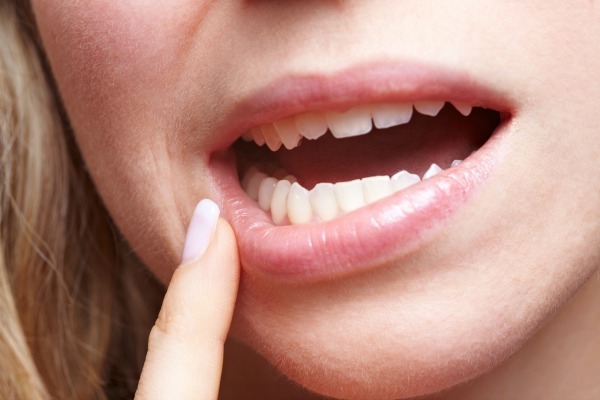 Tooth loss, left untreated, can result in issues that can range from inconvenient to damaging. At the start, it will be uncomfortable to chew, drink, and speak. Over time, surrounding teeth will start to shift, and eventually, bone loss can occur. For these dental issues, gentle treatments in restorative and general dentistry can help you restore your functional abilities such as eating, drinking, speaking, and smiling, and will look remarkably like your other teeth. Dental implants, for instance, are known for their long term benefits in modern tooth replacement and have an extremely high success rate (98%). A dental crown is typically used in restorative and cosmetic dentistry to protect damaged teeth from further harm or decay or replace a missing tooth. It restores the replaced tooth (or teeth) appearance, abilities, and functions. Made of several types of materials, such as alloy, composite resin, porcelain, or ceramic, a crown is a good option in restorative dentistry if you have a cavity too big to fill, after a root canal treatment, for a tooth that is cracked or weakened, or a crown over an implant. Another tooth replacement option, a bridge fills the space where one or more teeth have been lost (again, due to decay, disease, or injury). Dental bridges are fixed prosthetic devices that use fused dental crowns to fill the spaces between missing teeth and attach to adjacent teeth. You may have lost one or more teeth, but after treatment with dental implants or bridge, the results may look and function just like your healthy teeth. Perhaps you want to brighten your smile in a big way. Dr. Priti Naik DDS offers Zoom! Whitening, a professional teeth whitening system that uses special dental whitening gel and an UV light to remove discoloration and stains from teeth for a whiter, more confident looking appearance. With all the services available in restorative dentistry, repairing your smile after years of wear and tear can feel like a scavenger hunt for the right information. At Priti Naik DDS, we put the power back in the hands of the patient by listening carefully to their needs and providing easy-to-understand information about their dental treatment options so they can make decisions they feel confident about. Do you have questions about our services, or your dental insurance? At Priti Naik DDS, we are a preferred provider with many major PPO plans that include (but are not limited to): United Concordia, MetLife, Guardian, Delta Dental, Cigna, Blue Cross Blue Shield, and Aetna. For your convenience, we also file out-of-network claims with your insurer, and are available should you have questions about your dental insurance, our services, or scheduling an appointment for your family. At Priti Naik DDS, we are continually improving our dental care services with modern technology to keep our patients in Vienna and Falls Church happy, healthy and satisfied. For any of our patients considering cosmetic dentistry to elevate their smile (and confidence! ), we welcome you to give us a call at (703) 288-1800 to schedule a consultation for general and cosmetic dentistry in Vienna.